Today is our wedding anniversary, hence the cake. It’s a light, lemony creation, which I’m serving up with a dollop of ricotta and maple-roasted rhubarb that was picked straight from my garden. Spring, long weekends, anniversaries – there is much to celebrate these May days and cake is just the ticket. 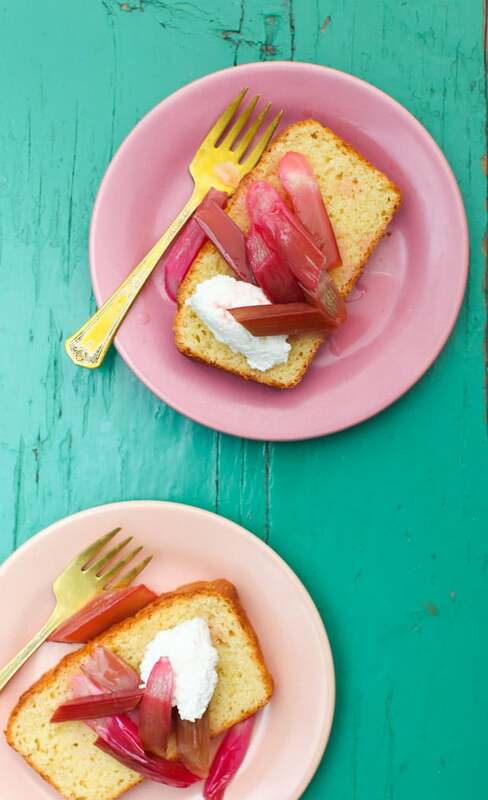 In addition to the recipe for Lemon Ricotta Pound Cake with Roasted Rhubarb, I’m sharing about the cookbook that has been living on my kitchen counter: Make It Easy: 120 Mix-and-Match Recipes to Cook from Scratch–with Smart Store-Bought Shortcuts When You Need Them. Oh, you’re going to love it. 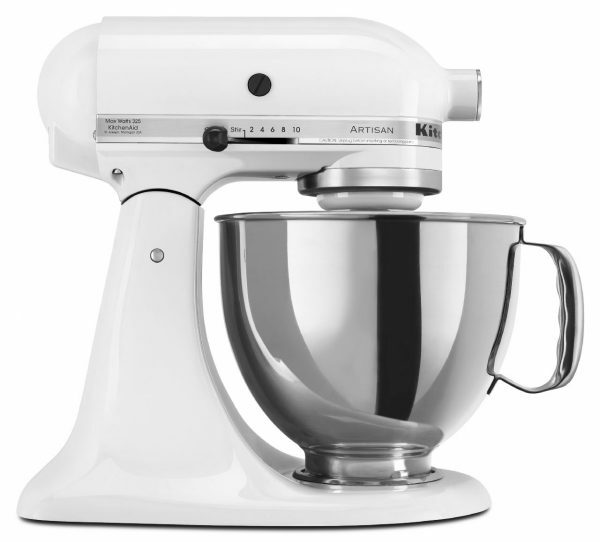 And since we’re celebrating, our friends at KitchenAid want to give one lucky Simple Bites reader a brand new stand mixer! This post is packed, so let’s jump right into the fun. A little over a year ago, I dined with my friend Stacie in a jam-packed bistro in Cobble Hill, Brooklyn and she told me about a cookbook she was writing. As a working mother of two committed to wholesome family meals, she had figured out a solution to reclaim scratch cooking for busy, modern parents. I listened, nodding, as Stacie described how her book would give home cooks a laid-back and flexible approach to family meals by using healthy store-bought shortcuts for maximum flexibility and full control. I instantly knew this book would be a success because Stacie was writing what she knew. For years, she’s been sharing her common sense approach to eating on her popular blog, One Hungry Mama and Cool Mom Eats, honing her skills for a book. Fast forward to today, and Stacie’s beautiful cookbook Make It Easy is on bookstore shelves everywhere and on my kitchen counter. I was fortunate to receive an advance copy and I’ve been cooking and baking my way through the chapters for over a month now. It’s fantastic; no surprise there. Before I continue, I want to say that I take my cookbook recommendations very, very seriously here on the blog. Sure, I have previous connections with Stacie, but I always set aside the personal stuff when I am testing a new book. It is always about the recipes. Always. I had an experience last month with another cookbook, a hot new release that I had been eagerly anticipating for a while. Design-wise, it was a stunner. The photos were gorgeous; the layout very reader-friendly. But the recipes were seriously flawed. I made a total of seven recipes from start to finish, with mostly disastrous results. Expensive ingredients went in the garbage. Others were salvaged only because I applied practical cooking knowledge and overruled the recipes. It was a disappointment, and I scrapped the post I had planned. I didn’t want to waste another second of my time – or yours. Sometimes that’s how it goes. Since writing my own, I am a fierce judge of cookbook content. It has to be so much more than a pretty package – yes, even though I’m a sucker for visuals and story. But let’s talk about a cookbook that works! 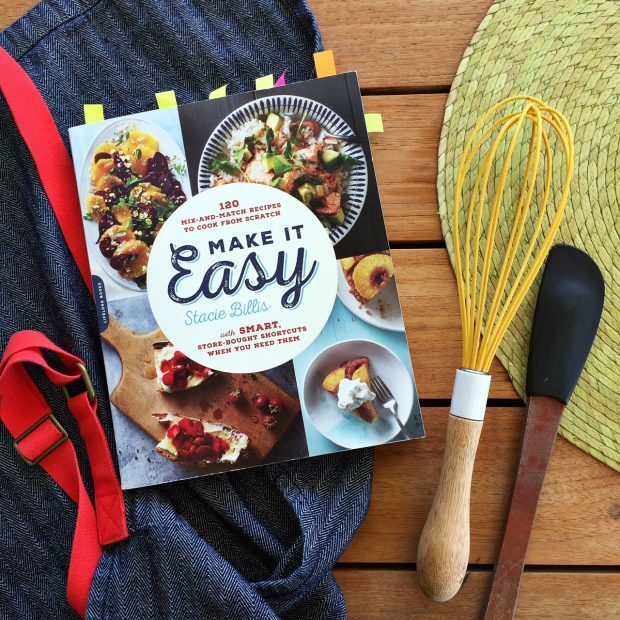 Make It Easy is one of the most relatable cookbooks to come out in a while. (Perhaps the last one was The Homemade Kitchen, another favourite). It’s full of real talk from Stacie that is instantly applicable, because she’s been there, in the kitchen, day after day. She knows what it’s like to have kids with selective palates and stubborn routines. 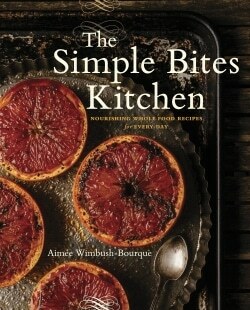 The recipes are solid; very clear and well-written. They are simple enough for beginner cooks (hey, we all were beginners once) and yet exciting enough to spark the interest of the advanced home cook. Best of all, Stacie’s philosophy is served up without an ounce of guilt. How refreshing! Here’s a handful of recipes from Make It Easy that we absolutely loved and will be adding to our family’s meal rotation. Everyday Waffles – Fast, fluffy and favoured by all. Yogourt Chia Breakfast Pudding – Brilliant combination. Country-Style Greek Salad – new fast picnic fare, bulked up with chickpeas. 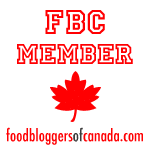 Curried Cauliflower and Red Lentil Soup – So delicious, and freezes well, too. Paprika Chicken – Quick, easy and yummy. 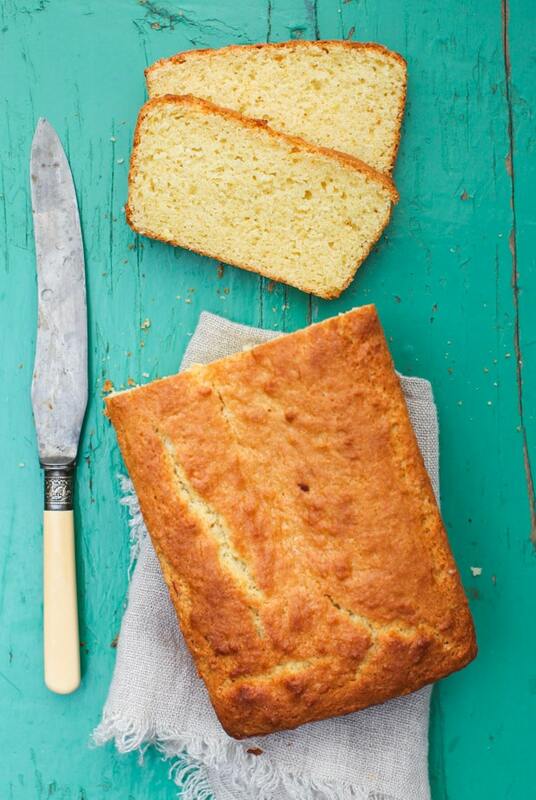 One-Bowl Lemon Ricotta Pound Cake (pictured above) – Totally genius recipe. For my Canadian readers, I should note that the Supermarket Guide in the back of the cookbook is mostly American brands. I recognized a few names that we can find up here, such as Eden Organics, Kashi and Nature’s Path, but for us this isn’t the most helpful part of the book. 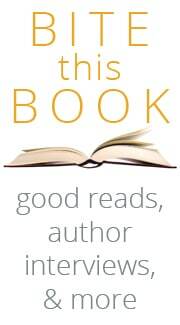 I can see how this guide is invaluable for my US readers, however! Stacie is extremely thorough and explains her choices, rather than just rattling off a bunch of lists. If the photos haven’t yet convinced you, let me encourage you to add this recipe to your weekend baking. You could pair it with fruit salad for brunch with friends, wrap it up as snack cake for a picnic in the park, or dress it up with whipped cream as dessert for a lazy, al fresco dinner. I’ve been sending it in my boy’s lunchboxes and carving myself slivers every afternoon at tea time. A loaf never lasts more than a day or two, so it’s a good thing the cake is simple to make. And yes, I took the suggested shortcut and used store-bought ricotta, although you could certainly make your own. My rhubarb patch is thriving, and so I roasted up a tray with a drizzle of maple syrup to adorn the pound cake. 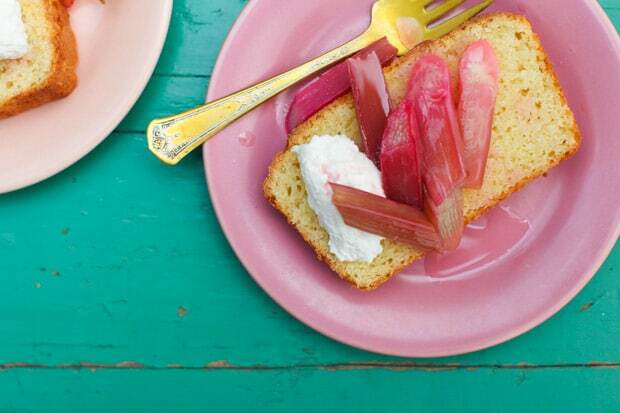 Lemon and rhubarb are a classic spring pairing; don’t you agree? Recipe slightly adapted and published with permission from 'Make It Easy' by Stacie Billis. I like to serve the cake with a little extra ricotta cheese or whipped cream. A dollop of crème fraiche is delicious, too. Preheat the oven to 350F. Butter a 9 x 5-inch loaf pan and line with parchment paper; set aside. In a large bowl that works well with a hand mixer or in the bowl of a stand mixer fitted with the whisk attachment, combine the butter, sugar, ricotta, lemon zest, lemon juice, vanilla, and salt on low speed until just combined. Mix in the eggs, one at a time, making sure to fully incorporate each egg before adding the next. Add the flour, baking powder, and baking soda to the same bowl. Use a wooden spoon or silicone spatula to mix until just incorporated. Pour the batter into the prepared loaf pan and smooth out the top. Bake for about 60 minutes, or until a toothpick inserted into the center comes out clean. 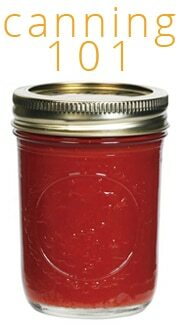 Meanwhile, cut the rhubarb into 2-inch lengths and toss with the maple syrup. Arrange on a rimmed baking sheet and roast alongside the cake for 10-15 minutes. Time will vary with the tenderness and freshness of the rhubarb. When the rhubarb has softened, remove pan and cool completely. Remove the cake from the oven and allow to cool in the pan for 5 minutes before removing from the pan to finish cooling on a wire rack. To serve, slice cake and arrange on plates. Top with roasted rhubarb and a little extra ricotta. Serve warm or at room temperature. If you are using the cake later, wrap it tightly all around in plastic wrap and store on the counter for 2 to 3 days, or in the freezer for up to 3 months. 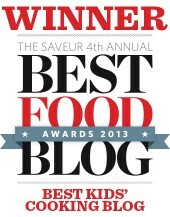 I’m delighted to partner with De Capo Press and KitchenAid USA for a very special giveaway. One winner will receive a copy of Make It Easy by Stacie Billis and a KitchenAid® Artisan® Series Tilt-Head Stand Mixer! This beautiful mixer has 10 speeds, a 5-quart mixing bowl, and over 20 colours to pick from. Yes, the winner may pick any colour they choose and KitchenAid will ship the mixer to their front door. 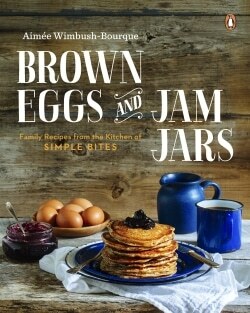 Please note that this giveaway is exclusively for my lovely American readers, just this once! 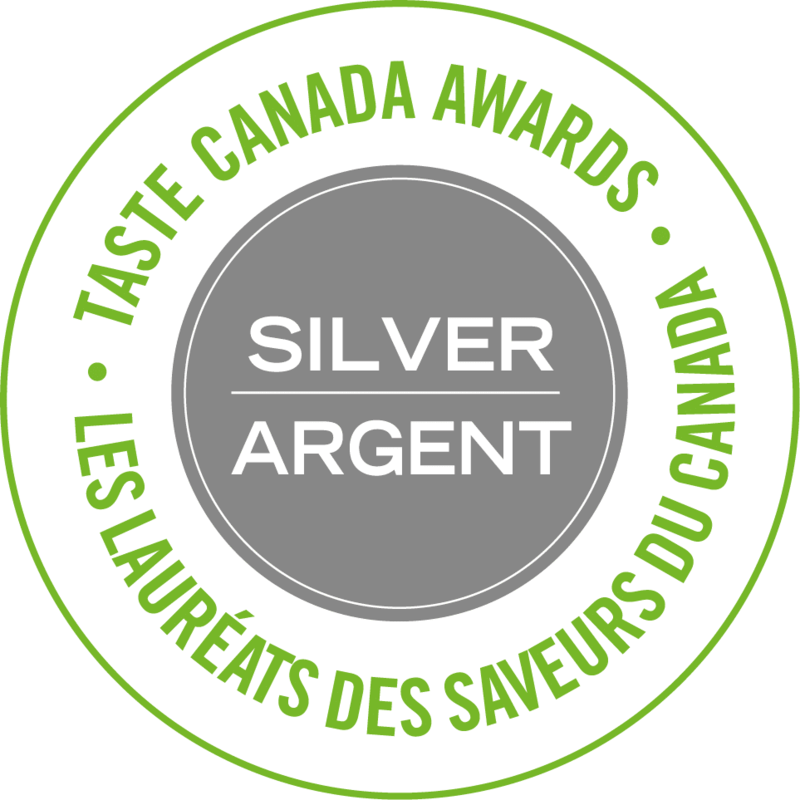 But don’t fret Canadian friends; I am cooking up another very special KitchenAid giveaway just for you shortly. To Enter the giveaway: Leave a comment on this post and answer the following question: “What is a typical ‘make it easy’ dinner in your house?” Giveaway is open to United States residents only. KitchenAid has provided the stand mixer for this giveaway, but all opinions are my own and based on a decade of working with KitchenAid appliances in my kitchen. Winner will be announced here on this post, as well as directly via email. Good luck to all! I love good food and I love to cook! But I have a serious problem —I’m lazy! So I have quite a number of quick and easy go to meals. Most of these revolve around a store-bought roasted chicken. But when we crave something a little different, one of the quickest meals I know of is seared tuna. 3 min per side in a med-high skillet and it’s done. Now that summer is here, we love a good salad with sliced tuna on top. I keep a variety of homemade dressings in my fridge, but my favorite one for this salad is lime-cilantro. I made this 2 nights ago and also made smoked paprika gazpacho in the blender to go with it. Delicious and under 30 min total! Anything on the barbecue is my answer to quick and easy. My husband does all the work and I get to concentrate on the side dishes. Salmon and baked potatoes made in the microwave and some broccoli! A winner in everyone’s book! I make a quick & easy dinner when I serve a taco supreme & nacho salad. We have lots of quick meals in our house because of my work schedule, but the favorite now (and fastest!) is pan-fried shrimp and tomatoes with onions, garlic and pesto over bowtie pasta. Super satisfying and on the table 15 minutes after I walk in the door. Although I love cooking, there are definitely lots of nights when I just want to make something easy! Pastas with sauteed vegetables and beans or quesadillas are usually my go-to for those situations. Thanks for the giveaway opportunity! Quesadillas are my favorite go to quick meal, from egg & cheese for breakfast to spicy shrimp for dinner! As long as there are eggs in the refrigerator, I can dine like a queen, from a poached egg on toast (with avocado or asparagus or whatever else I might have on the side) to an improv omelette, an egg (or two) is the basis of a quick, satisfying meal. I love my meatballs & they go great on subs too! Hi Aimee, Happy Anniversary! And this cake looks delightful. 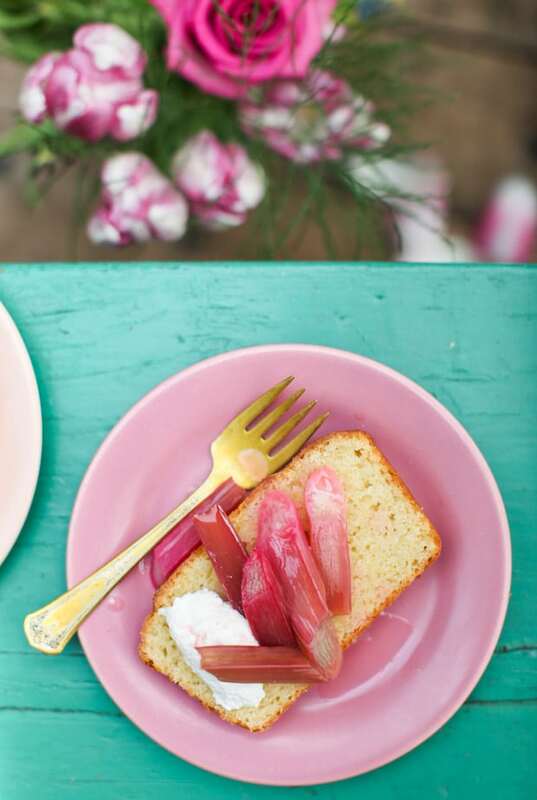 I have struggled with rhubarb in the past, but lately I find I’m willing to give it another go and this recipe looks like the perfect candidate to try it in. Our go to dinner, which we make probably 2 times a month, is turkey chili. It is the world’s simplest recipe, but oh so tasty..
A typical make it easy meal at our house is leftover chicken and rice with cheese and a couple spoonfuls of spaghetti sauce on top. You microwave it for a couple min and top it with cheese and fresh basil. It’s fast, easy, and my daughter and husband always eat all out it. My easy go-to is either baked chicken breast, home fries, or tacos… it’s all the stuff I can make easily, I always have the ingredients for, & that my youngest son will always eat. Thanks for the giveaway! An easy meal at our house is fish tacos made with frozen, crispy breaded filets. Add fresh tomatoes, lettuce or cabbage and salsa. Pinto beads and fresh fruit on the side. My go to easy meal is homemade pizza. I make Mark Bittman’s dough recipe in the food processor, and freeze par baked shells. On a busy night I baked those straight from the freezer with pesto sauce and grilled chicken breast, or roasted veggies. I have 3 little boys that are great eaters! We have a couple of easy weeknight dinners. A not so spicy Thai chicken salad or chicken Caesar salad, and pasta puttanesca. All three are made with pantry staples which is key for weeknight dinners. I plan to make the pound cake this afternoon! Had some leftover ricotta and this looks like a perfectly yummy use for it. Now if I can get some of my mom’s backyard rhubarb we’ll be good to go. My favorite “make it easy” meal, as the weather warms up, is a huge salad. We’ll typically use up all the veggies left in the fridge, add some beans, feta cheese and a handful of seeds. For some added protein I’ll roast a chicken breast to top it off. My son is just two years old but a great eater; he’s not a big fan of the salad greens but will gobble up all the toppings! I am so uninspired sometimes when it comes to dinner that I will reach for a box of mac & cheese or we will have some brats and some sauerkraut. With the mac & cheese I will add in peas and some Canadian Bacon because then it adds just a little something. Our go to meals are almost always breakfast for dinner . From waffles to crepes to toads in a hole, a surprise switch up from dinner to breakfast adds cheer to a tired dinner hour. 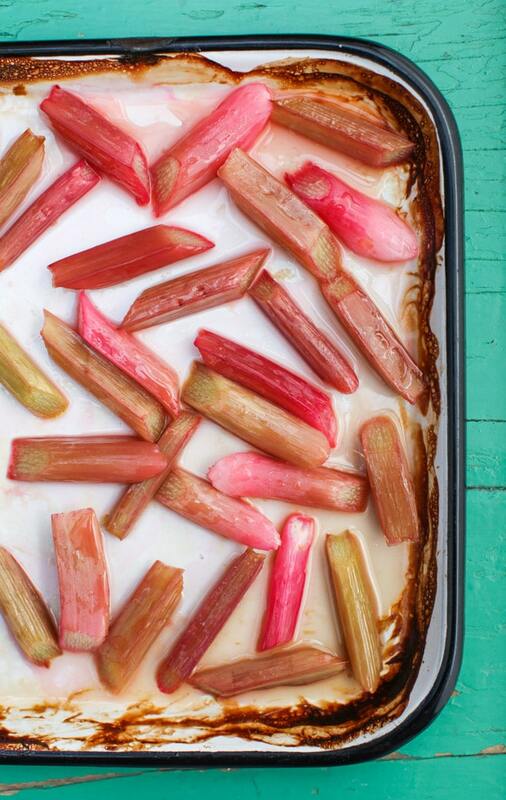 Love your cookbook by the way, just roasted some of my rhubarb your way – delicious! My easiest dinner to make is baked chicken. I can put potatoes and veggies right in the baking pan if I want to and it’s really easy to heat up for late eaters. Plus the leftovers are great for lunch. A typical “make it easy” dinner at my house is browning some organic grass feed beef in the skillet with some spices and pulling out all the taco “fixings” from the fridge! Make it easy is always BREAKFAST FOR DINNER around here. My kids love it! If I cook, it’s spaghetti, or stroganoff or a chicken pasta dish. If my husband cooks, it’s usually chicken on the grill..
Sausage on the bun with sauerkraut… tasty. Pasta with pesto, mozzarella cheese, and tomatoes. Sometimes we add sausages to it. Sausage, kale, and bean soup with crusty bread! Seems I hardly have time to bake anymore..working two jobs, but this WILL be my next endeavor. Nothing better than lemon, and the rhubarb sound like wonderful compliment. Fettuccini Alfredo or Broccoli Cheese Soup. A quick meal is to toss in the skillet a patty of meat (pork or beef). Heat milk and water, then in with the dehydrated potato flakes. Pour over some bar-b-que sauce.